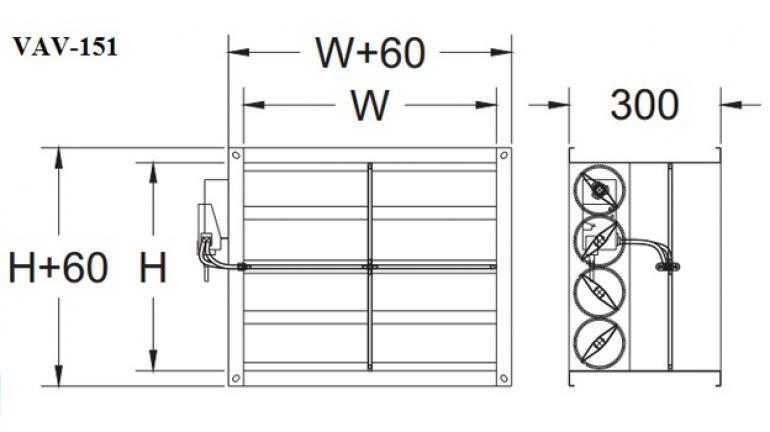 Chassis Material: Galvanized Steel Sheet. Pressure sensor is made of aluminum. 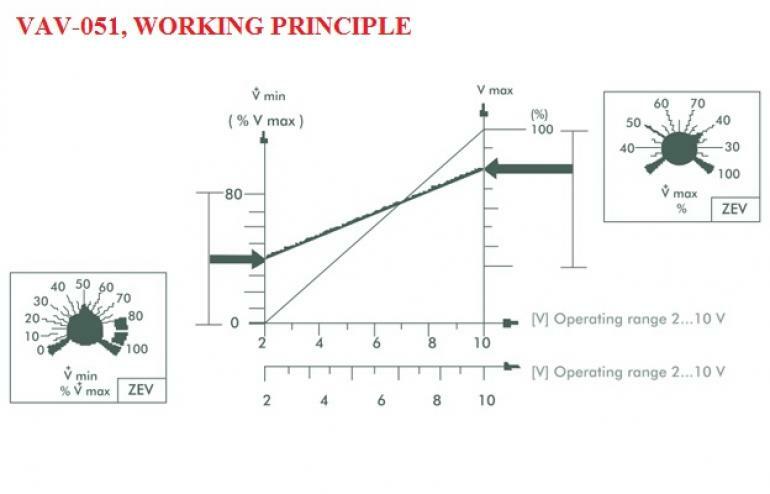 Usable of providing fresh air in steady flow rate at ventilating systems. 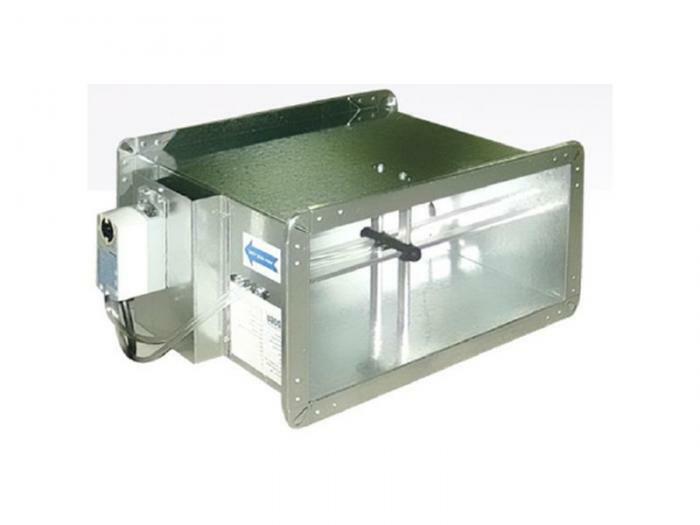 Able to be used for both supply and return air ducts. 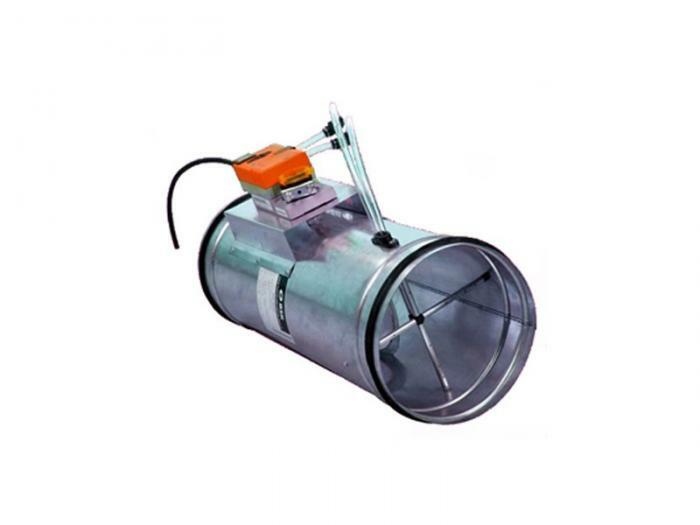 Designed for applications that have high velocity air flows or variable flow rates at single duct. On request, chassis interior can be covered with heat and sound isolation. Has two models: Prismatic model (VAV-151) and Circular model (VAV-251). 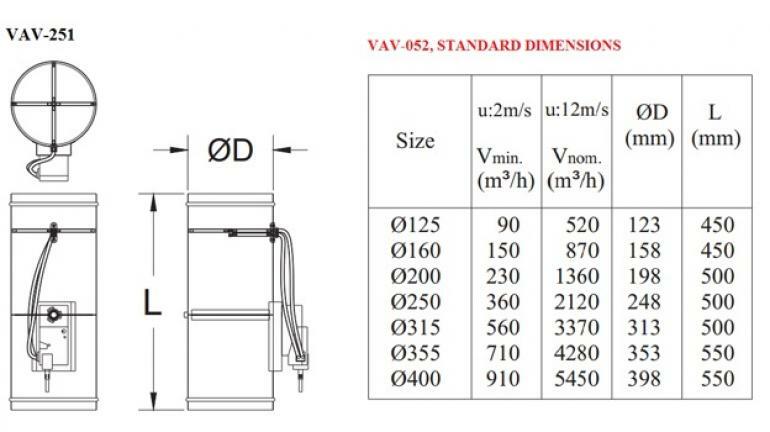 All VAV-units are equipped with an electronic velocity control device, a servo-motor and a pressure sensor. Requested pressure value is provided independently of resident constant or variable air flow rate.